prices for domain name registrations and renewals (based on how much they alone thought the individual domains were worth) caused an uproar in the domain community. Verisign already uses that model with the .tv registry (which they administer under an agreement with the island of Tuvalu). 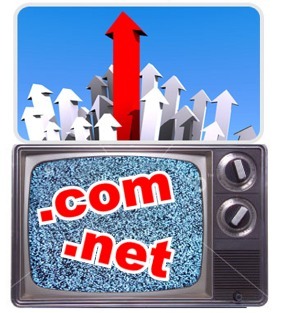 Many blame that pricing scheme for stunting the potential growth of .tv, so when the possibility of variable pricing was raised when the .biz/.info/.org contracts came up for renewal two years ago the domain community rose up in arms and stopped it. and .net registries they operate - potentially leaving millions of website owners to face massive renewal bills for their domains if Verisign chose to up the tab on them at whatever rate they wished. The 2006 brouhaha was triggered when veteran domainer and long-time ICANN watcher (and Business Constituency member) George Kirikos spotted dangerous language in the proposed .biz/.info/.org contracts and sounded the alarm. Now, in contracts that are being proposed for the new gTLDs that ICANN plans to start rolling out next year, Kirikos has again found a variable pricing trojan horse lurking in the contract language. If it slips through, all of the existing registries could again be in danger of being infected with the same virus. Kirikos first called attention to the new problem with a post at Circle ID October 24 and he has since brought it to the domain community's attention with forum threads detailing the issues at DNForum.com and DomainState.com. ICANN opened a public commentary window to support or oppose the new contracts on October 24 and in typical ICANN fashion that window will close very quickly - on December 8. Kirikos is rightfully alarmed that few protests have been posted on the public commentary site to date. As they did two years ago, every domain owner needs to make their opposition to variable pricing known now. Instructions for posting your comments can be found on this page at the ICANN site. You can also join the discussions at DNForum and/or DomainState to get answers and discuss strategy with fellow domain owners. It seems like domain owners are facing threats and challenges on every side these days, from the Snowe Bill (which, though derailed this year, is expected to reappear in new clothes next year) to the Kentucky government trying to claim the right to confiscate domain names. Another hot button issue is registrars competing with their own customers in the expired domain market, or in some cases (as with registrar Tucows.com's new YummyNames sales site), refusing to compete - instead sidestepping the entire competitive drop process and just keeping domains that expire at their registrar for themselves and selling them to the highest bigger. In conflict of interest scenarios like this, registrars have an incentive to make sure their customers do not renew their domain names. their financial situation but there is a question whether or not the benefits from doing that will be offset by a loss of business from domain registrants who are unhappy with the company's current direction.